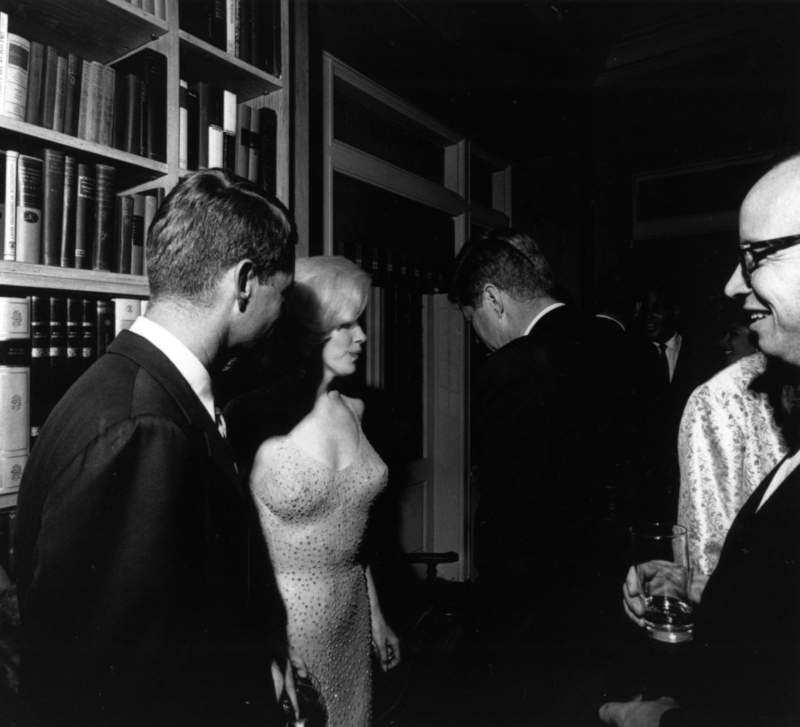 JFK looking away as Marylin Monroe goes backstage during his birthday after having sung him Happy Birthday at New York, where Bobby joined them. Many men were taken by her, but the amazing part is that she ended up with the one of our presidents JFK and his brother Bobby, they both had her and were nervous about her because they both couldn’t marry her. Unfortunately she wanted to marry but it just couldn’t happen, and that made her very nervous by the end of her life and she was gone by age 36. 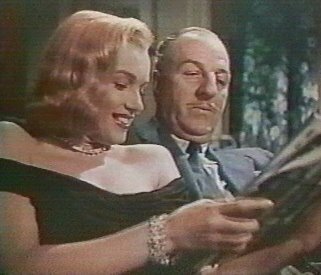 Asphalt Jungle, where Marylin Monroe played a minor but key role, and it helped make her a star. John Huston was the director. Marylin was unhappy at that time with that movie she was doing that with John Huston. He had trouble getting her on set when we wanted her, it was hard for everyone. I cant say it killed Clark, but he died from the movie. Marylin Monroe’s last movie never got finished, it was called “Something’s Got To Give.” This is one of the scenes from that movie, this is rare footage. In the end she had too many problems to deal with. This entry was posted in 50S, 60'S, 70's, A hollywood novel, actresses, books about hollywood, Confessions of a hollywood agent, film, Hollywood, hollywood 50s book, hollywood novel, JFK, Marilyn Monroe, Marylin Monroe, Marylin Monroes, Novels, old hollywood, videos and tagged 1950s, 1950s Hollywood, 1960s, 1960s Hollywood, 1970s, 50s, 50s Hollywood, 60's Hollywood, 60s, 70s, actresses, Asphalt Jungle, Blondes, books, Books about Hollywood, Clark Gabol, Fame, film, history, hollywood, Hollywood book, JFK, John F Kennedy, John Huston, Louis Calhern, Marylin, Marylin Monroe, Misfits, mistress, Monroe, Movies, novel, old hollywood, photography, president, rare, scandals, Somethings got to give, stars, videos. Bookmark the permalink.